Are you feeling lost and out of control in your divorce? Do you feel that your partner is calling all the shots? Are you scared to make decisions as they pertain to your life? If so, this session is perfect for you. My name is Tracy Callahan, MA, and I am an experienced mediator, serving families with many diverse needs in the state of Florida as a Supreme Court Certified Family and Divorce Mediator and in New York City as a certified mediator for the NY Unified Court System. Specializing in pro se mediation, I am a child centered mediator and work with couples to facilitate divorce settlement agreements that put children first. 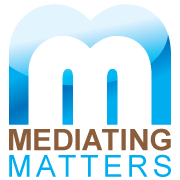 After starting my own independent practice, Mediating-Matters, LLC in Palm Beach County, FL, I recognized how very difficult the divorce process can be for all parties involved, especially those with children. As such, I added Divorce Coaching to my mediation practice and have been working as a CDC Certified Divorce Coach® in addition to my role as a family mediator. Specializing in women with children in their 40’s, I develop partnerships with my clients to empower them in managing their own life transitions. Through supportive guidance and personal coaching, clients gain the clarity and confidence needed to reduce the over whelm inherit in the divorce process and successfully move on with their lives as a single person and co-parent. Whether in coaching or in mediation, I empower my clients by helping them make the very best decisions they can for themselves and their families throughout the divorce process. I received my BS and MA from New York University in the healthcare field and worked as a healthcare administrator and operations specialist in the healthcare industry for many years prior to joining the field of mediation and divorce. I am the proud mother of two teenage children and am passionate about my practice and the work I do with families in crises. By simply registering for this webinar, you will begin your journey with a free downloadable self-reflection tool titled compliments of Tracy Callahan and Mediating Matters, “Taking Control”. This self assessment will be the starting point for you to begin to think about areas in your life which you feel you have control and those that you would like to improve.